Bob Dylan’s ‘Shadows In The Night’ Charts At #6 & #7 In The U.S.
Well I was wrong. Very wrong. 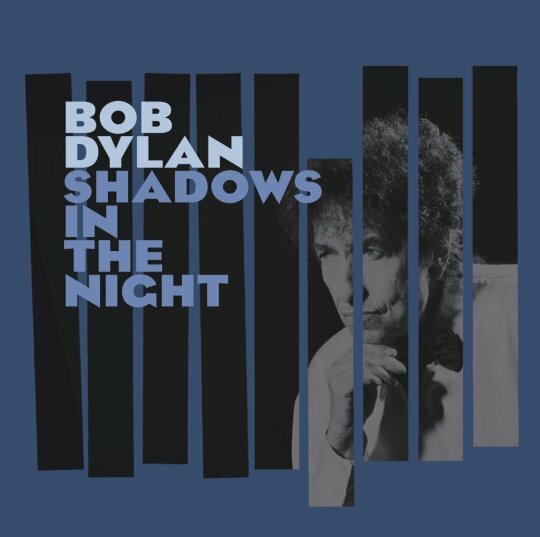 While I predicted last week that Bob Dylan’s excellent new album, Shadows in The Night, would chart at #1 in the U.S. following its first week of release, in fact the album has charted at #6, according to Nielsen SoundScan sales data chart for current releases. Or #7, depending on which chart you consult. The album is at #7 on the Billboard Top 200 albums chart, which also includes older releases. The Billboard Top 200 albums chart is partially based on sales information collected by Nielsen SoundScan but incorporates other data as well. Shadows In The Night has sold 49,791 copies following its release on Tuesday, February 3, 2014, according to Nielsen SoundScan. The album has done better, chartwise, in other countries. It charted at #1 in England (Official Charts Company), Ireland (Irish Recorded Music Association) and Sweden (Sverigetopplistan). Additionally, Shadows In The Night has charted at #3 on Austria’s Ö3 Austria Top 40 Longplay (Albums) chart, #2 on the Swiss Hitparade Albums Top 100, #3 on Belgium’s Ultratop albums chart, at #2 on the Dutch MegaCharts albums chart and at #6 on the German Offiziell albums chart. In the U.S, the albums that sold more copies than Shadows In The Night are the various artists compilation, NOW 53 (99,543) at #1, Taylor Swift’s 1989 (76,769) at #2, Fifth Harmony’s Reflection (61,854) at #3, Sam Smith’s In The Lonely Hour (56,937) at #4, and Ed Sheeran’s X (53,262) at #5, according to SoundScan. Billboard has a slightly different order since their chart combines physical album sales, audio on-demand streaming activity and digital sales: Taylor Swift at #1, the NOW 53 compilation at #2, Ed Sheeran at #3, Sam Smith at #4 and Fifth Harmony at #5 and Meghan Trainor’s Title (59,000) at #6. Try #7. You’d better look fast because it’s going to drop like a hot potato. That’s not too bad, you were only off by 5 out of 200…. I only purchased Bob’s new one so in my book he is #1 . That’s what I say, Bruce. Earlier this morning you didn’t have the #7 in there. If you go by the 7, you were only off 6 out of 200… This is how I used to think when I went to the track….